Some features are often in development, so try to use Promoted builds in your world. It's still no guarantee that a recipe or cost won't change, but I'll try to make sure things carry over where possible. 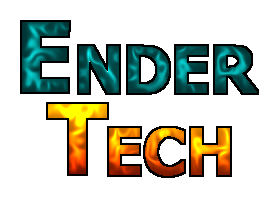 Go to #EnderTech on Esper if you have any questions or concerns (especially if you're considering including it in a larger modpack), or just want to shout at me for doing something wrong. If you use this mod and you'd like to support my open-source work, please consider tipping through Patreon. You don't modify the Jar (it is appropriately signed and modifying it would break this). Don't like the balance (eg: think it's too energy expensive)? Change it in the configuration!